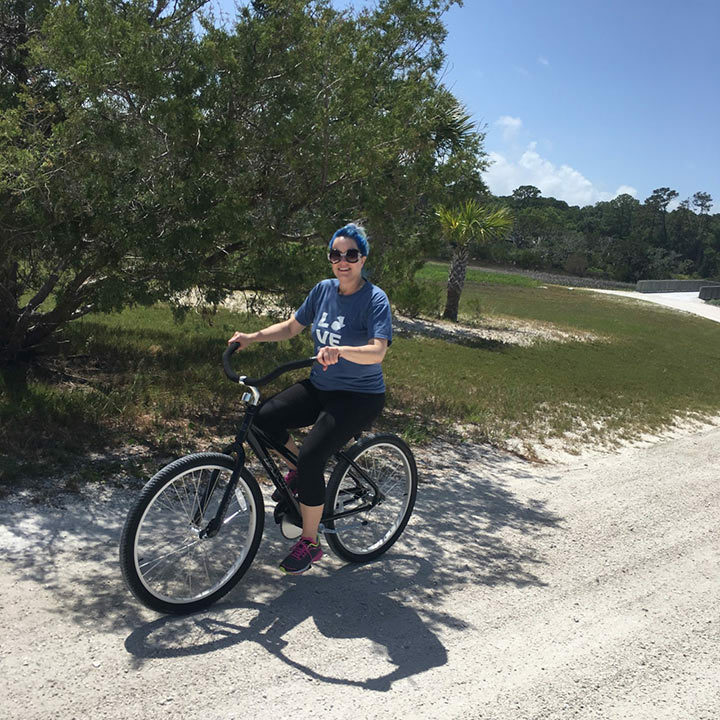 My family has been visiting Hilton Head Island for a better part of 25 years, and ferrying over to Daufuskie Island for the day has long been on our “we need to do this” list. We just never made it happen. Last weekend, we finally got to check it out. Why, oh why did we wait so long? The word Daufuskie derives from the Muscogee language meaning “sharp feather,” perfectly describing the island’s unique shape. It’s only five miles long and less than 2 ½ miles wide, but I was surprised at how much there is to do on such a small plot of land! With no bridge and few cars (golf carts are the normal mode of transport), it makes for the ideal getaway for achieving total relaxation. To add to the island’s homey feel, you won’t find hotels or motels here. Rental homes, villas and condos are available within Haig Point, a private member-owned community, which is where we stayed. You can also secure overnight accommodations at Bloody Point Resort or at Freeport Marina. We headed over on a Friday on the 2:30 p.m. ferry from Hilton Head. When we reached Daufuskie, we docked near the stately yet charming Strachan Mansion. 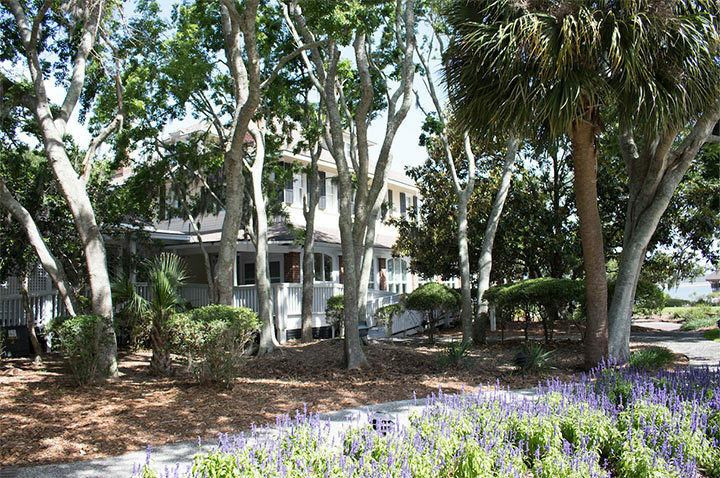 Although the mansion fits right in with the island’s historic vibe, it was actually built on St. Simons Island in 1910 and moved to Daufuskie in 1986. The mansion has been beautifully restored and today serves as a guesthouse with four elegantly appointed rooms. The General Store is also located in the mansion, as well as a bar, billiard room and comfortable common areas. Take some time to check out the glass cases that contain pottery, tools and other artifacts found on the island. As you roam around outside near the mansion (and along other spots on the island), take note of the oldest remaining pre-Civil War tabby ruins. We spent the whole weekend exploring the island on bikes, our golf cart, and even horses. The Equestrian Center at Haig Point was a real treat. The 12-stall barn and stables are located on three sprawling acres. We enjoyed a leisurely trail ride with Jody, who perfectly chose our horses to match our experience and level of comfort around these sweet animals. Another fun excursion was our kayak cruise with Tour Daufuskie. Our guide was friendly and informative. We spotted dolphin, osprey and varied other island wildlife as we glided along the fringes of the island. Of course, my daughters loved having the freedom to roam their environs as much as they wanted. My oldest daughter is 16, so we felt comfortable letting them tool around in the golf cart. They certainly made the most of their time outside! We never had a bad meal here, and our scales reflected that upon our return home! Our first night’s dinner at the Calibougie Club was superb. My eggplant parmigiana was insanely delicious. The food was matched only by our waiter’s attentive and amiable service. Our meal at Lucy Bell’s will not be our last. Owners Rebecca Watts and Brad Klieve already had a successful catering business when they opened up Lucy Bell’s last fall. Open for breakfast and lunch, it’s located on the corner of Benjies Point Road and School Road. You can dine at the community table or the bar that lines the wall inside, or set up shop at one of the outside tables. We stopped for lunch, and there was a steady line of customers the entire time we were there. We enjoyed freshly prepared gazpacho, penne pasta salad and the featured special of blackened red fish sandwich. Dinner at Marshside Mama’s just off the County Boat Landing was another treat. No paper menus here. The menu changes daily, so a dry erase board with the day’s fresh offerings is passed from table to table. My daughter is vegan, so I was curious how ample her selection would be. There were no meatless or dairy-free options listed. However, the waitress asked the chef to make a special dish like it was no big deal at all. We really appreciated that. My husband ordered the Voodoo Pasta, and he was a big fan. Everything was delicious, and the Marshside Mama’s rum punch (made with rum from the local distillery) hit the spot. 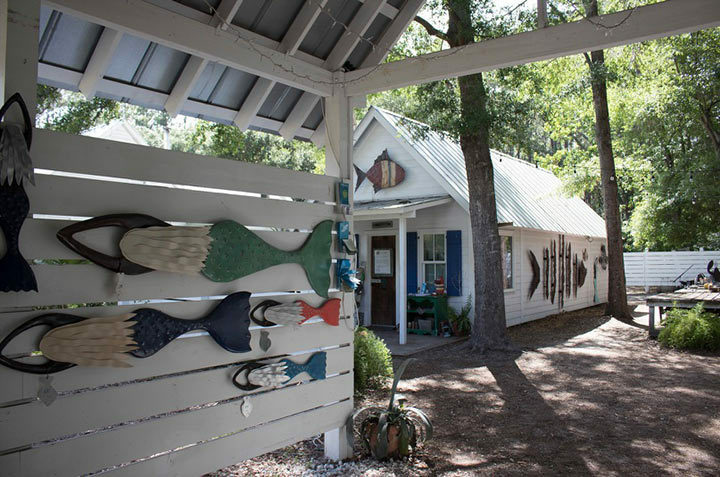 For a little historical insight, head to the Daufuskie Island Museum and learn about the island’s rich American Indian and Gullah culture. In addition, there are more than 20 historic landmarks to discover along the Rob Kennedy Historical Trail. Historic sites include the Mary Fields School, which was immortalized by Pat Conroy in his book, The Water is Wide; the Mary Dunn Cemetery, with markers dating back to 1790; and the previously mentioned Tabby Ruins. You can view and download the trail map on the museum’s website. Make sure you stop by Iron Fish Gallery & Studio. Owner and sculptor Chase Allen was the 2015 winner of Martha Stewart American Made contest, and for good reason. His beautifully handcrafted coastal sculptures have been featured in Southern Living, Martha Stewart Living and Coastal Living. He wasn’t there when we stopped by, but we were able to peruse his outdoor gallery and T-shirt shop. They work on the honor system, so you can just pick out your purchase, drop your payment in the box and be on your merry way. 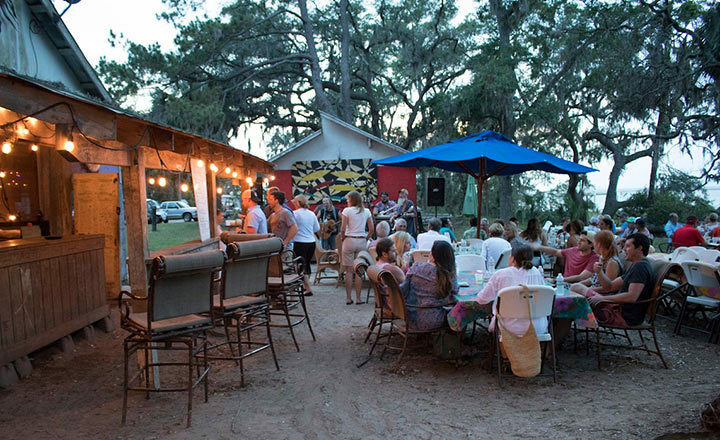 The Daufuskie Island Rum Company is another fun stop. Owners Kristi and Tony Chase pride themselves in the fact that their company is completely American made. They distill, bottle and label each bottle of rum on the island. Vanilla, Gold Reserve, Spiced and Kona are just a few variations to choose from. You can take a tour of the distillery, which includes tasting and purchasing one (or more!) of their rums. Even though we had an activity-filled weekend on Daufuskie Island, we never got the feeling of being rushed or harried. It was the perfect antidote to our crazy school and work schedules. 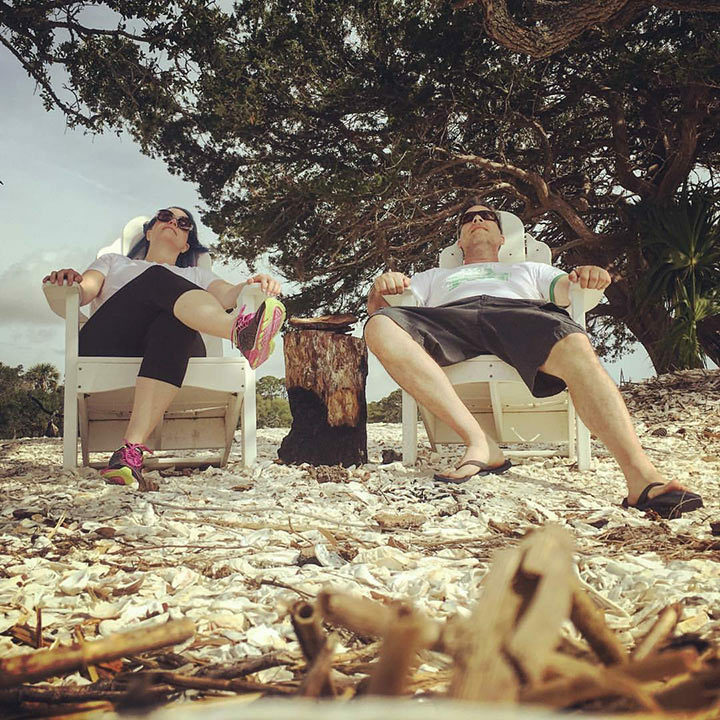 If you want to kick back and explore the island with no bridge, ask your local AAA Travel Agent to get your TripTik to Daufuskie Island ready!